There's just something about Pixar Animation Studios isn't there? Something special in everything they do. Even in their weakest films there seems to be a level of quality within not only the animation but within the stories - something so professional, tasteful, universal and timeless - that other animation studios just cannot beat. In a world where competitors like Dreamwork's How to Train Your Dragon are praised for being the studio's 'most Pixar-like' film, you know which studio's ahead of the game. For anyone who agrees with the majority that the studio's last film Cars 2 dropped the ball a bit (although I did enjoy it personally it is their weakest film, especially when following Toy Story 3), Brave will be a step back in the right direction for them as Pixar remind us all why they're still the kings of the industry. The film certainly lives up to its name with a number of firsts for Pixar making the film a Brave choice for the studio (I promised myself I'd get that pun out of the way as soon as possible!). Deciding to make a fairytale was no easy task for Pixar, especially considering that they are owned by Disney who are well renowned for their animated fairytale classics. By setting the film in Medieval Scotland instead of a more generic and non-existent fantasy land, Brave respects and differentiates itself from the clichés of the genre, giving it a heightened sense of reality which plays to the film's strengths - making the characters feel more relatable, the world more engaging and the perils of tradition that Merida must face all the more substantial. The real world history of the setting gives the film a lot more weight than any other fairytale film has yet to provide, making the film a lot darker as a result, almost reminiscent of the old Grimm fairytales that formed the genre. This is all featured in the film's opening scene alone, instantly grabbing you from the very beginning, proving exactly how this is the film's greatest asset and what makes it so admirable and engaging. 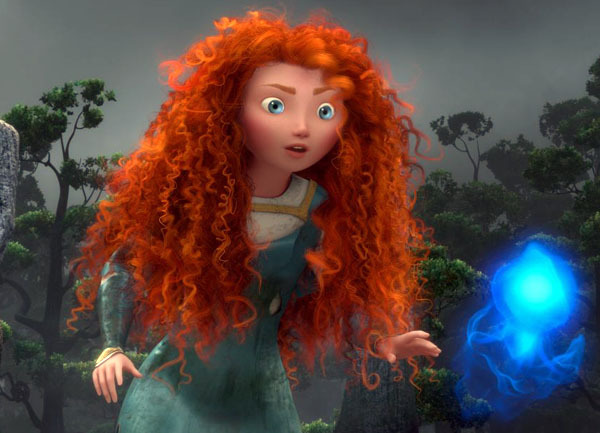 At the film's heart is the touching and emotionally investing story of a fractured and testing mother and daughter relationship between Merida and Queen Elinor. This particular story is what really drives the entire film, and once again the enhanced realism of the setting's heritage makes it all the more meaningful and believable - crucial in allowing the audience to become attached to the film's characters, and something that Pixar knows how to do best. It's not all about the darkness and reality though as there is also the abundance of humour that you'd come to expect from a Pixar film. Merida's three younger brothers - the triplets - provide a lot of the laughs with their cheeky antics, but the real star of the show is Billy Connolly's King Fergus who's personality is consistently entertaining and scene stealing, especially when paired up with the testosterone driven clans who start fighting for Merida's hand but end up fighting mainly for no reason at all as the film goes on - all in true man style! 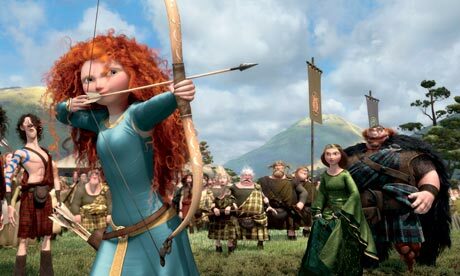 Aside from its many strengths, Brave unfortunately isn't one of Pixar's best, with a lot of the studio's other films remaining a lot more memorable than what ends up being one of the studio's least original films. However it is difficult to put this as a weakness as that just comes as part of the genre which the film has to respect and abide by in certain ways regardless of how far it differentiates itself. 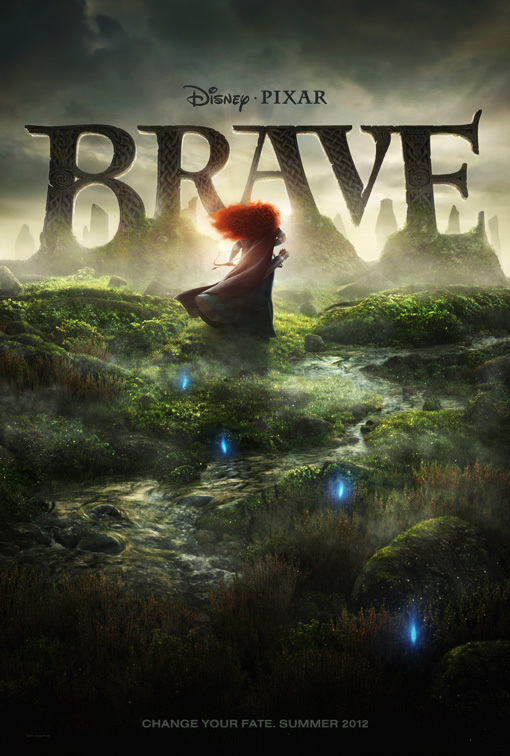 As a result Brave seems somewhat less ambitious in comparison to the studio's previous output with its simpler story and weaker second act, albeit even if they do come as a result of the genre. Whilst it does differ substantially from most fairytales it struggles to compare to the incredibly diverse and unique worlds of working monsters, talking toys, superhero families, loving robots, cooking rats and lost fish that Pixar boasts in its back catalogue of films. Pixar have raised the bar in animation, and it'll always be difficult for them to raise it further. Brave is released in cinemas across the UK on August 13th 2012. Are you Brave enough to join Merida's adventure, or is this a Pixar film you'll miss? If you've seen it what did you think? Leave your comments below!